If you happened to read last week’s post about the Hibiki event that we recently attended in NYC, you will recall that during the formal whisky tasting portion of the evening, we were given the opportunity to sample some Chita Grain Whisky. That stuff was super tasty and instantly reminded me that grain whisky isn’t just a filler or binding agent when it comes to making blended whisky. The deliciousness of the Chita Grain Whisky also reminded me that I still had one more Compass Box sample left to review, which just happens to be their Hedonism, a blended grain Scotch whisky. 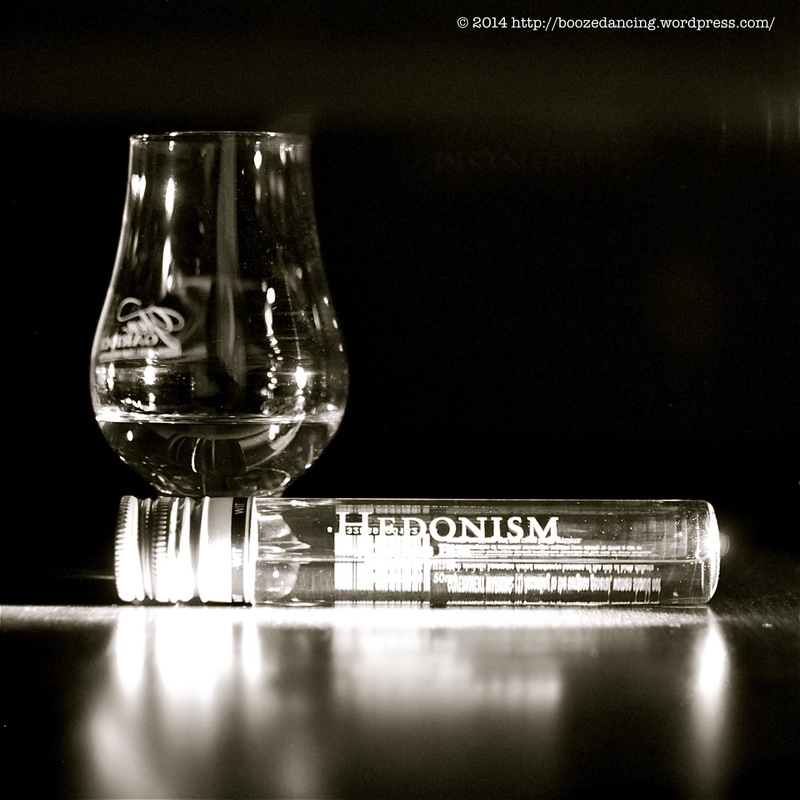 Our bottlings of Hedonism are made from a combination of eight to 15 casks of grain whisky from distilleries such as Cameron Bridge, one of the oldest continuously operating distilleries in Scotland, and Cambus. Most whisky in Hedonism has been aged in first-fill American oak casks. This ageing yields a very special whisky that is full and round with richly textured flavours of vanilla and toffee. Aroma: Once you get past the light alcohol vapors (think Witch Hazel), oodles of sweet and fruity notes come through. Vanilla, peaches, powdered sugar, sweet cream butter, and a touch of something herbal coming through too. I’m thinking fennel and menthol. Yeah! That’s it! Taste: Very light and fruity with a medium mouthfeel, i.e. not to thin and not to thick. Reminds me of vanilla buttercream at the onset with a touch of light cinnamon like spice kicking in as you approach the middle. At the finish it all comes together with some of those fruity notes finally making an appearance. The finish is a touch on the short side with all of the flavors dissipating after a few seconds. After two years of just sitting in the back of my whisky locker, I finally got around to trying the Compass Box Hedonism. Was it worth the wait? Most definitely! Is it worth the asking price which can range from a low of $80 to a high of $120? The short answer is, it depends. While I definitely enjoyed this all grain whisky, I doubt that I could justify spending that much for it. For that kind of money, I could buy two bottles of Asyla.